As Team Canada heads to the Rio 2016 Olympic Games, Deloitte commits as presenting partner of the Canadian Olympic Foundation's Help Build an Olympian program, the company said in a press release Tuesday. Help Build an Olympian, Powered by Deloitte, is a fundraising initiative to help give Canadian athletes access to tools and training required to become the best of the best, and compete in future Olympic Games. "Deloitte is proud to support Canada's future Olympians, and we encourage all Canadians to play a role in ensuring our country's future success at the Games," declaredDuncan Sinclair, Vice Chair at Deloitte Canada.. "Our athletes inspire us all to pursue excellence and to be our best selves. What's exciting about Help Build an Olympian is that it provides each of us a simple, yet impactful, way to show our appreciation and support." The program, which began on July 26, allows Canadians to show their national pride during and after the Games by visiting the Help Build an Olympian website and donating to the program. With a donation of as little as $10, Canadians from coast to coast can help ensure the continued participation of Canadian athletes for PyeongChang 2018, Tokyo 2020, Beijing 2022, and beyond. 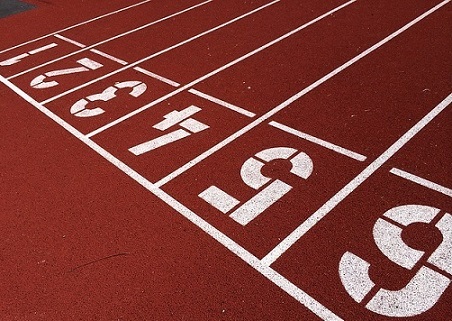 For its part, Deloitte will be launching a country-wide corporate initiative to promote wellness and encourage employees to celebrate the Rio 2016 Games, as well as donate to Help Build an Olympian. "Fueling the Olympic journey involves more than just dedication, talent and hard work. The financial commitment to make it all the way to the top is also substantial," noted Leanne Nicolle, Executive Director of the Canadian Olympic Foundation. "Funds raised through Help Build an Olympian, Powered by Deloitte, will go a long way towards supporting our athletes and keeping them on the path to the podium. Thank you to Deloitte and our generous donors across the country for their support." Deloitte and the Canadian Olympic Committee have agreed to partner through to 2032 to support Canadian athletes through the Help Build an Olympian program and through Game Plan – a program which offers Canadian athletes tools and resources to strive for excellence beyond their sporting careers.